Woodlands Cafe has been relocated to our banquet area for breakfast lunch and dinner as we are going through restaurant upgrades. Sakura and Room Service will be opened as usual with no disruption to service. Be welcomed by our friendly staff with a warm chocolate chip cookie when you check in to the elegant DoubleTree by Hilton Hotel Flagstaff. 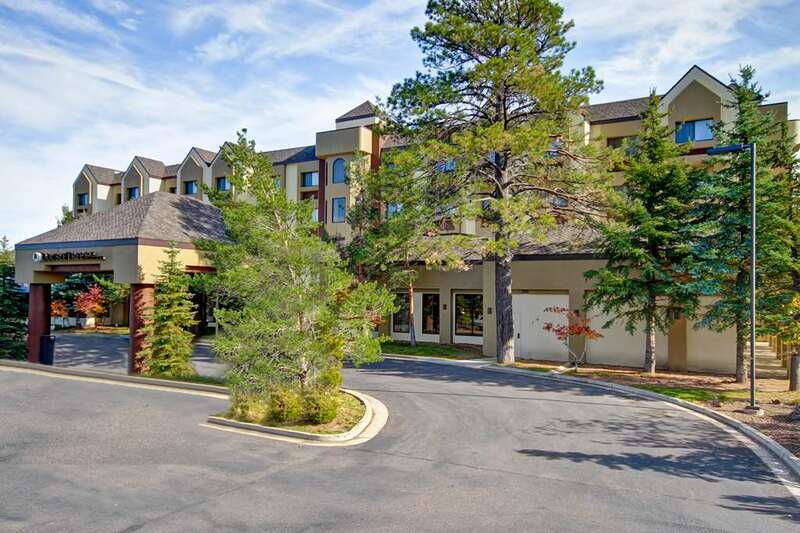 Located near charming downtown Flagstaff AZ just seven miles from Flagstaff Pulliam Airport the hotel offers easy access to shops restaurants and Arizona attractions including golf courses hiking trails historical monuments and spectacular natural wonders. Marvel at the awe-inspiring Grand Canyon and the Petrified Forest National Park visit the Native American Ruins at Wupatki National Monument or take to the slopes of Arizona Snowbowl just 15 minutes away. All of the spacious guest rooms at this Flagstaff hotel feature complimentary WiFi an HDTV and a luxurious Serta Perfect Sleeper bed. Luxurious executive guest rooms and suites are also available. perfect for families or longer stays. Hold an event at this hotel in Flagstaff AZ with 6 400 sq.ft. of indoor and outdoor function space including a spacious gazebo and a grand ballroom a 24-hour business center and catering facilities. Work out in the complimentary 24-hour fitness center offering the latest exercise equipment and a 42-inch LCD TV swim in the seasonal outdoor pool or relax in the indoor whirlpool spa. After a busy day exploring Flagstaff unwind by the fireplace with a glass of wine in the welcoming Lobby Lounge before enjoying continental fare in the casual Woodlands Restaurant or Japanese delicacies in Sakura Sushi - Teppanyaki.